Short Description: Raw Men Necklace. Black or brown leather. Wood Cylinder. 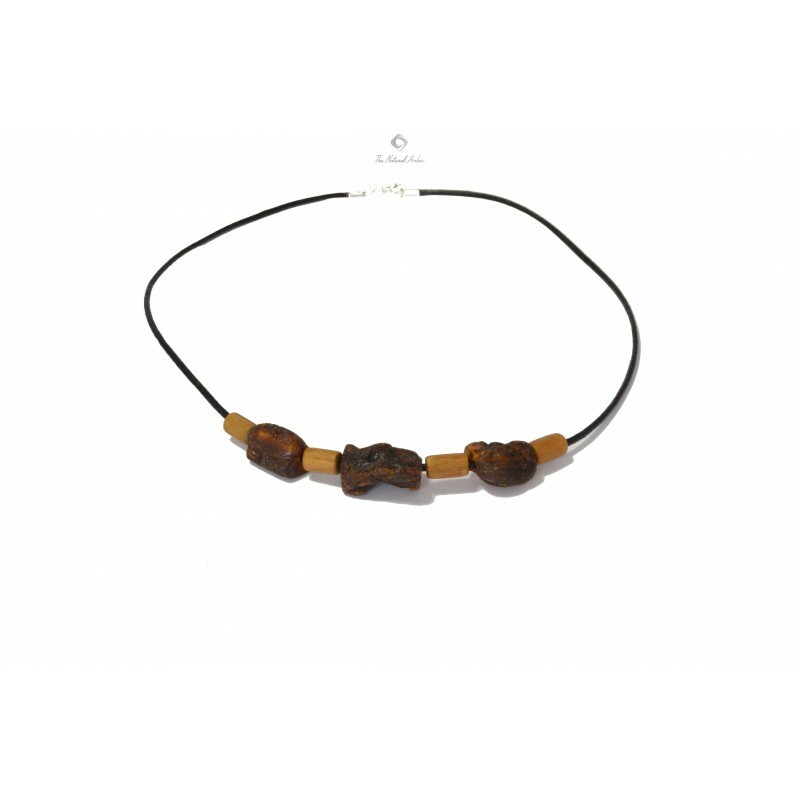 In our website you can buy men necklaces made of natural Baltic Amber. Each bead in this necklace is hand made from genuine Amber. All of our products have special design and come in various colors. This can be a great gift for any men who cares about their appearance and health. 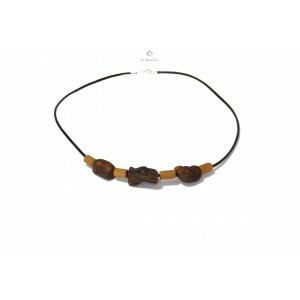 Natural amber necklace will give men power and distinctive style. Thenaturalamber.com can offer huge variety of necklaces made of Amber and pendants for men. Men Necklaces are available in different lengths in order to fit every man. They are carefully produced and inspected before shipping!